Another season of Top Gear USA comes to an end tonight with an adventure to the nether regions of Iceland. And lucky for us, Adam Ferrara has stopped by for a chat. Jump in and ask him anything you want about Top Gear USA past, present, and future. After what has been a pretty great season, what with a Veyron Grand Sport Vitesse and some crazy taxis, among others, we're ending on a pretty epic drive. 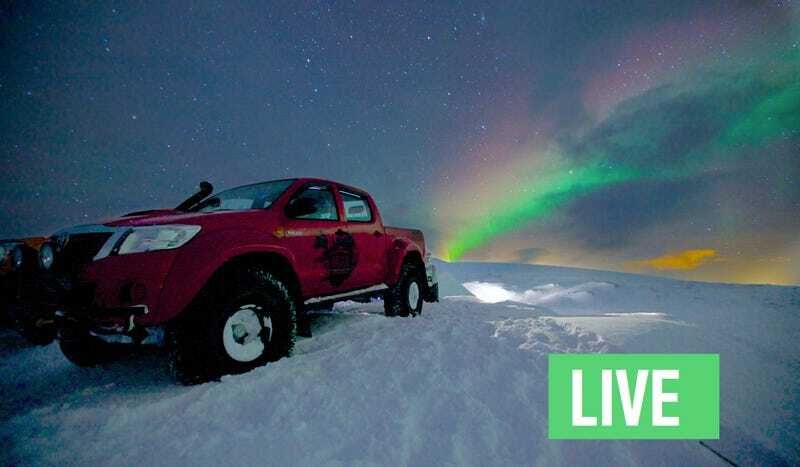 Rutledge, Tanner, and Adam are all trekking north in Iceland to prove that American trucks are some of the most highly capable vehicles on this planet we commonly call Earth. Sounds like a pretty epic adventure. Adam has graciously taken some time out of his schedule to be here to talk with you, the Jalopnik commentariat. Ask him anything you want about tonight's episode, the past season, next season, whatever. UPDATE: Q&A closed. Thanks to Adam for answering so many questions! Make sure to watch the season finale tonight on HISTORY.